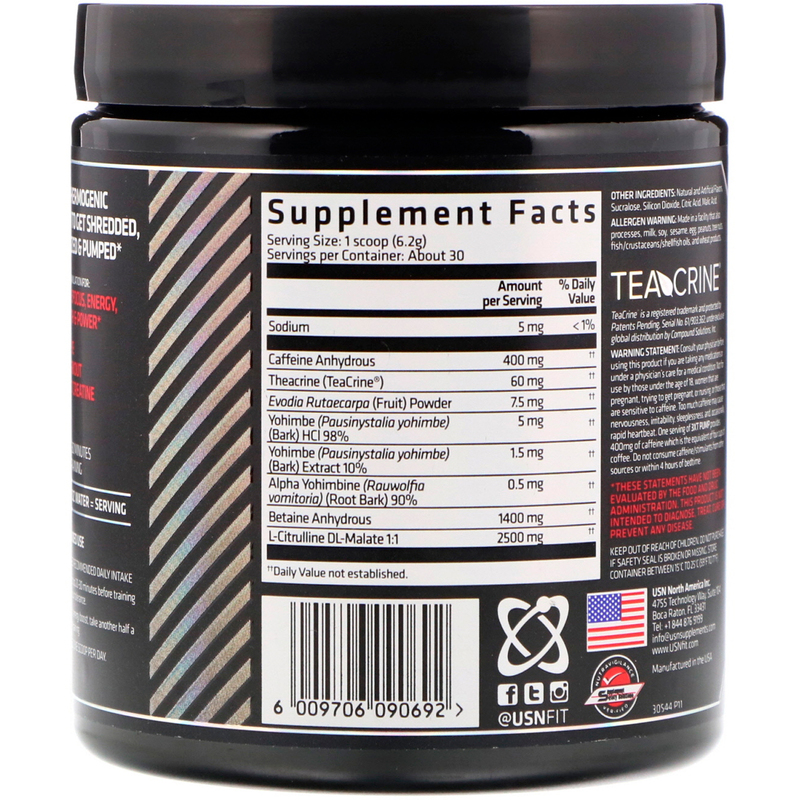 Take half a scoop 20-30 minutes before training and assess your tolerance. 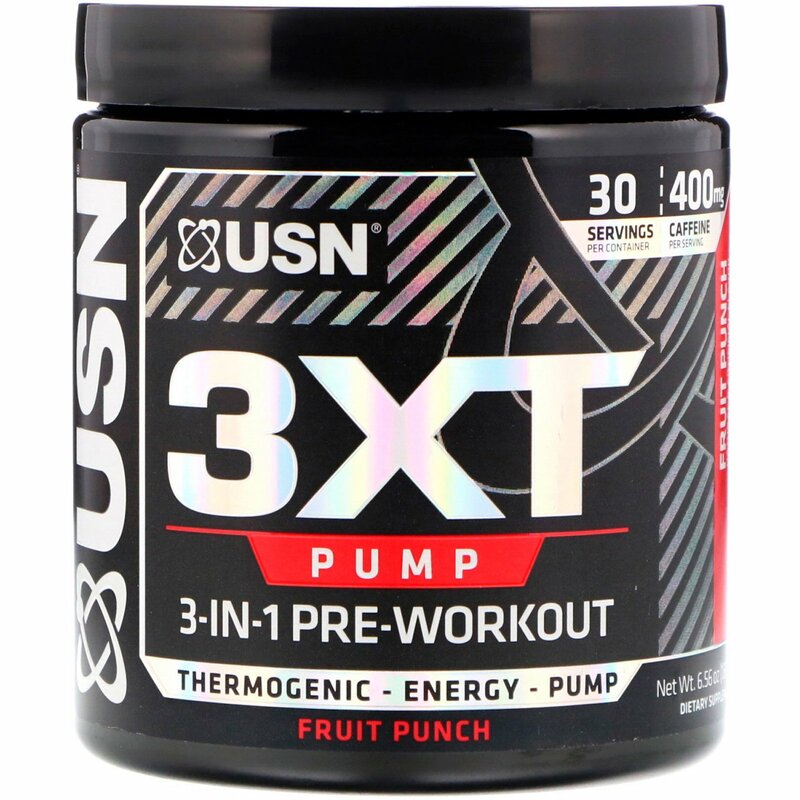 For additional energy boost, take another half a scoop before training. Do not exceed one scoop per day. Natural and artificial flavors, sucralose, silicon dioxide, citric acid, malic acid. Allergen Warning: Made in a facility that also processes, milk, soy, sesame, egg, peanuts, tree nuts, fish/crustaceans/shellfish oils, and wheat products. Consult your physician before using this product if you are taking any medications or under a physician's care for a medical condition. Not for use by those under the age of 18, women that are pregnant, trying to get pregnant, or nursing, or those that are sensitive to caffeine. Too much caffeine may cause nervousness, irritability, sleeplessness, and occasionally, rapid heartbeat. Once serving of 3XT PUMP provides 400 mg of caffeine which is the equivalent of four cups of coffee. Do not consume caffeine/stimulants from other sources of within 4 hours of bedtime. Keep out of reach of children. Do not purchase if safety seal is broken or missing. Store container between 15°C to 25°C (59°F to 77°F).